The acquisition of Vaupell will enable SB to enter the aircraft interiors market, where aircraft manufacturers are adopting lightweight materials such as composites to lower weight and reduce fuel consumption. Henny van Dijk: "SB has huge material science capabilities and we will be looking to combine these with Vaupell's existing technology." The deal concluded on 17 June. Vaupell Holdings Inc has been owned by Miami-based private equity investment firm H.I.G. Capital LLC since 2004. SB, headquartered in Tokyo, is one of the largest providers of thermoset materials in the world, with an extensive portfolio including a large range of phenolic and epoxy resins and compounds. Its businesses focus on IT materials, high performance plastics, as well as products for the medical devices, packaging, and construction sectors. One area that we will be looking at in particular is how to apply our proprietary automotive processing techniques into aerospace ..
Vaupell, headquartered in Seattle, designs and manufactures plastic and composite components and assemblies for aircraft interiors, as well as serving the broader aerospace, defence, medical and commercial markets. It is a Tier 1 supplier to Boeing and other aerospace subcontractors. The company acquired Russell Plastics Technology in 2011 to expand into defence applications and augment its composites capabilities. Vaupell has 7 sites in the US and a tooling and production facility in Shenzhen, China. The acquisition of Vaupell will expand SB’s High Performance Plastics (HPP) division's business and enable it to enter the aircraft interiors market, where aircraft manufacturers are adopting lightweight materials to lower weight and reduce fuel consumption. Bringing together its extensive material science skills and Vaupell’s part making capability, SB will aim to become an integrated supplier covering all aspects of the aircraft interiors supply chain including raw materials, moulding processes, painting and parts. It will also offer the market a reliable, financially strong aerospace partner with technological potential. SB’s global footprint will also allow for the expansion of Vaupell’s services to meet the worldwide needs of its customers. At $265 million, this is one of the most significant deals in the composites sector in 2014. Future Materials Group (FMG), a UK-based business advisory firm specialising in advanced materials, provided the strategic direction and commercial due diligence on this deal from the outset. The deal has been in fruition since early 2012, when FMG, a long-term advisor to SB, was approached to work alongside the management team to develop a growth strategy for the Japanese company within the advanced materials and composites market. SB wanted to look at opportunities to leverage the technologies and materials within its High Performance Plastics division. Its portfolio includes products for the automotive and aerospace sectors, including phenolic resins that are developed specifically for fire, smoke and toxicity (FST) applications, glass fibre reinforced phenolic moulding compounds, and liquid epoxy resins. SB and FMG conducted an analysis and concluded that, with its current competencies and material science capabilities, combined with a forward thinking innovative approach, the aerospace market was a significant possibility for SB. 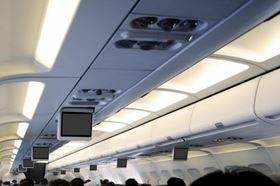 In particular, the fast growing, yet fragmented, aircraft interiors market was identified as an area in which SB could create a significant position. As a result the chosen strategic route was acquisition. FMG established a desired acquisition profile and benchmarked various companies versus that profile. Vaupell, a supplier of composite aircraft interior components for over 60 years and a long term Tier 1 supplier to Boeing, emerged as the front runner. As a bonus benefit, Vaupell’s additional activities in the medical and commercial sectors provide good synergies with other SB businesses. Vaupell produces a variety of plastic components used in medical products and highly-engineered products in the commercial and industrial markets. On approval of the overall strategy, FMG then conducted the commercial due diligence on the acquisition target. Following the transaction, FMG will continue to support SB with its post acquisition strategy. “Combining Vaupell’s key technology with SB’s status as one of the largest multi-national providers of high performance plastics in the world, will position this new synergy as a leading force within the aircraft interiors market,” notes David Schofield, Managing Director of FMG. 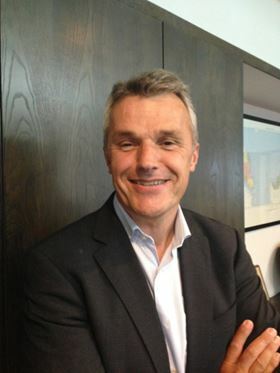 Reinforced Plastics spoke to Sumitomo Bakelite Co Ltd's Henny van Dijk, Managing Executive Officer responsible for European Operations and India, about the company's expansion into the composites aircraft interiors market following the acquisition of Vaupell. Reinforced Plastics (RP): What is SB's current activity in the composites market? Henny van Dijk (HvD): SB is above all a materials science company. We develop, formulate and supply different kinds of resins and compounds and are global leaders in phenolic chemistry. SB’s activity in the composites and aerospace markets is the supply of phenolic resins for prepreg and honeycomb systems and long and short fibre reinforced moulding compounds for semi-structural applications. RP: Why have you chosen to expand into the composites area? HvD: Growing this area of our business is a logical expansion plan for SB since we already have a well established and successful high performance plastics division in place that is producing a number of the fundamental materials that are required for composite applications. RP: The aircraft interiors market is 'fast growing, yet fragmented' – why is this, and what are the trends in this sector? HvD: There is a large demand for new aircraft and the order books are full. There is also a lot of demand for refurbishments and innovation, with interiors providing an increasingly key differentiator between airlines. However the market is fragmented as there are so many different technologies and processes that have been introduced recently due to the demand and race to ‘lightweight’ these aircraft, reduce fuel expenditure and increase passenger densities. RP: Why is SB/Vaupell a good fit for this market? HvD: Vaupell is a global pioneer and market leader in supplying aircraft interior subassemblies and airframe components and has been delivering aircraft interior composite components for over 60 years. Vaupell is also a long term Tier 1 supplier to Boeing and major aerospace subcontractors. Combining these relationships and technologies with SB’s existing material science capabilities creates an ideal opportunity. RP: Which composites technologies will SB/Vaupell be focusing on? HvD: Due to our extensive R&D facilities and state of the art processing experience, SB has huge material science capabilities and we will be looking to combine these with Vaupell’s existing technology in order to effectively penetrate the market. One area that we will be looking at in particular is how to apply our proprietary automotive processing techniques into aerospace, and SB has proven expertise in optimising the efficiency and effectiveness of these processes. As aerospace continues to grow we believe that transferring these skills and processes across will be a huge benefit to the market. RP: Post-acquisition, what are the plans for integrating the Vaupell business into SB? HvD: Our priorities are to continue to grow the business and to continue innovating. Vaupell is a market leading company with cutting edge technologies but it is also relatively small. However, with SB’s global network and financial wherewithal we can combine the two to penetrate the market on a global basis, which will in turn enable us to offer an efficient solution to all global OEMs. This article will be published in the July/August 2014 issue of Reinforced Plastics magazine. The digital edition of Reinforced Plastics is distributed free of charge to readers who meet our qualifying criteria. You can apply to receive your free copy by completing this short registration form. AVS-SYS Ltd has introduced a new range of ultra-lightweight composite parts and components for aircraft. EconCore plans to present the results of the tests it has been performing on honeycombs made of modified polycarbonates. Ikonics Corporation has entered into a long-term agreement (LTA) with EnCore Composite Structures Inc.